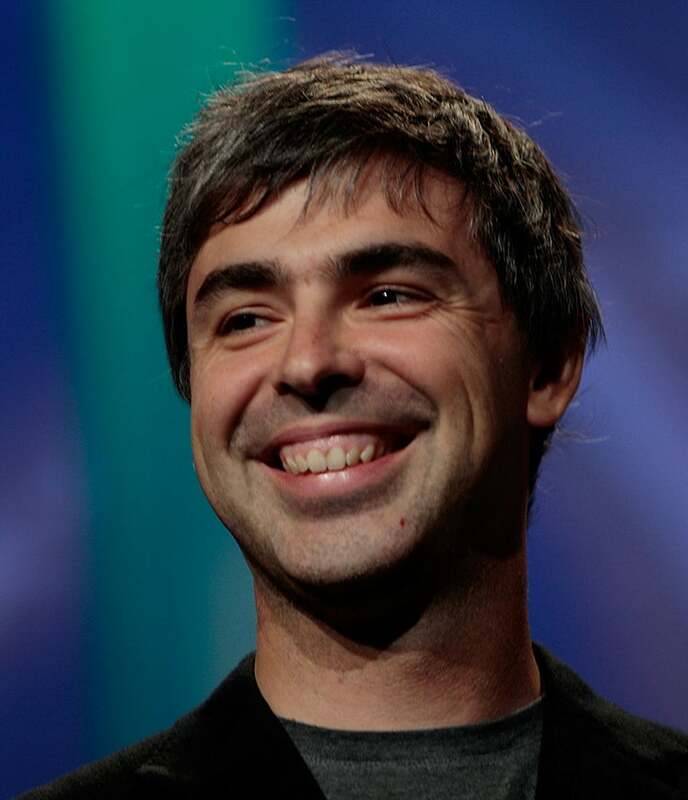 Larry Page was Google's founding CEO and grew the company to more than 200 employees and profitability before moving into his role as President, Products in April 2001. He continues to share responsibility for Google's day-to-day operations with Eric Schmidt and Sergey Brin. The son of Michigan State University computer science professor Dr. Carl Victor Page, Page's love of computers began at age six. While following in his father's footsteps in academics, Page became an honors graduate from the University of Michigan, where he earned a bachelor of science degree in engineering, with a concentration on computer engineering. During his time in Ann Arbor, Page served as President of the University's Eta Kappa Nu Honor Society and built a programmable plotter and inkjet printer out of Legos. While in the Ph.D. program in computer science at Stanford University, Page met Sergey Brin and together they developed and ran Google, which began operating in 1998. Page went on leave from Stanford after earning his master's degree. He was granted an honorary MBA by Instituto de Empresa and was the first recipient of the University of Michigan Alumni Society Recent Engineering Graduate Award. Page has been a speaker at such forums as the Technology, Entertainment and Design Conference, The Wall Street Journal Technology Summit, the World Economic Forum and the Commonwealth Club. He was named a World Economic Forum Global Leader for Tomorrow in 2002 as well as a "Young Innovator Who Will Create the Future" by MIT's Technology Review magazine. Page is a member of the National Advisory Committee (NAC) for the University of Michigan College of Engineering, has been recognized as Research and Development Magazine's Innovator of the Year and was elected to the National Academy of Engineering in 2004.